Wide format printing is a popular medium of communication that can produce easy, quick, and affordable prints. 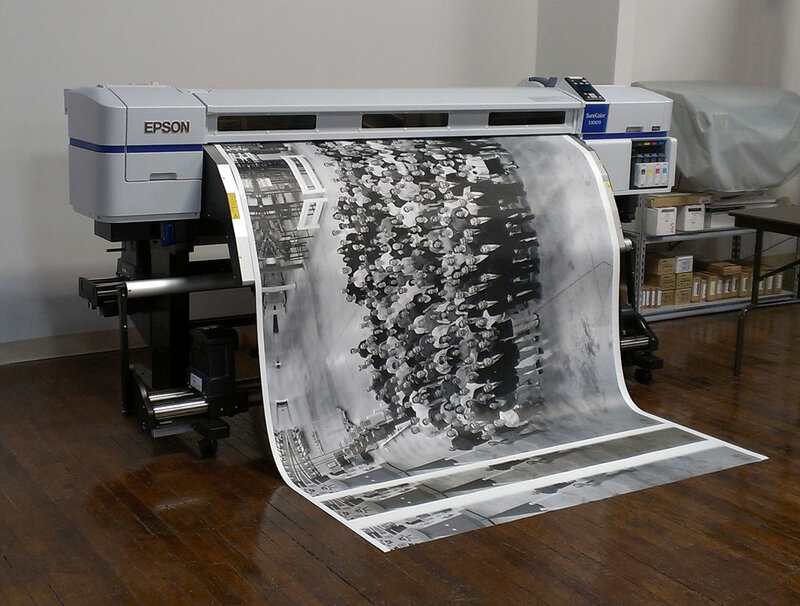 Wide format printing is often known as large format printing and is generally processed by using computer controlled printing machines. Wide format printers are largely used in producing high quality banners, posters, trade show graphics, wall papers, and printing objects. At Creative Interior Imagery, we use a few brilliant inkjet technologies to produce your desired printed object. We have state-of-the-art wide format printers that can easily accommodate any large format printing projects on a number of substrates. We offer wide format printing services on matte, luster, and fine art paper stocks. We happily take on projects that require wide format printing on surfaces like vinyl banners, wall graphics, and window graphics. The printing experts at Creative Interior Imagery are highly knowledgeable and flexible enough to get the job done right. As a full wide format printing service, we take pride in our craftsmanship and guarantee our client’s satisfaction. Need a large, quality print that can command attention from a distance? Start a project with us today and let us know what you need - we are always happy to be of assistance!